Rue La La was founded in 2008, but it recently gained a ton of popularity. Within a very short time period, the flash sale website became one of my favorite online shopping destinations. So I had to share it with you, lovely readers. The site has amazing deals- Imagine J. Brand Jeans for $30, BCBG evening gowns for $50, designer bags for 90% off.... you get the picture! 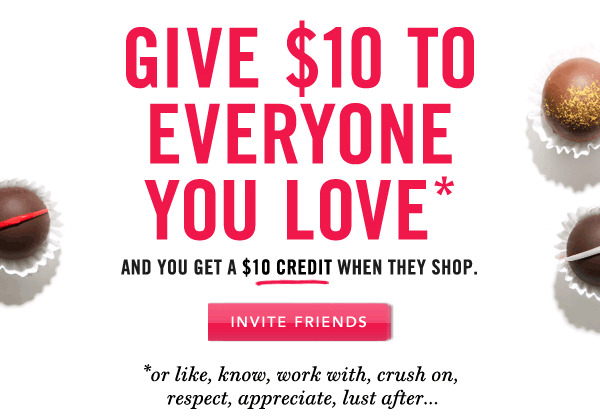 Act fast, you have until Valentines Day, 2/14, to sign-up with my link for a FREE $10 credit added to your account and if you make a purchase by February 14, shipping is free too! Sign-up already- it's free so you have nothing to lose, but be warned, the site is addictive... I even have the iPhone app. Happy Shopping!